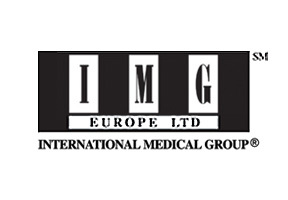 International travel health insurance plans from IMG. Buy your Patriot Travel Insurance policy now! Pacific Prime is able to offer some of the best travel insurance options from IMG in the form of IMG’s Patriot Travel Insurance policies. Travel insurance is an increasingly vital form of coverage for individuals and families intending on traveling outside of their home nations. Travel insurance is the perfect way to ensure that if anything untoward occurs while you are overseas, that you will have the protection and support you need. The Travel Insurance plans from IMG contain a range of Options and extremely comprehensive coverage, ensuring that you and your loved ones have the security you need wherever you may go in the world. IMG offers two types of coverage under their Patriot Travel Plans. Patriot International is a specially created international travel insurance policy specifically designed to cover US Citizens (American Nationals) who are traveling outside of the USA. In addition to providing high quality medical coverage for American citizens overseas, a Patriot International policy will also include protection should the traveler briefly return to the USA before departing overseas again. Patriot America plans are designed exclusively for Non-US citizens who are traveling outside of their home countries. What is the Duration of Coverage under Patriot Travel Insurance? Patriot Travel Insurance plans, as with all other travel insurance currently available in the international health insurance market, are time specific. This means that you will typically purchase the policy to cover only the length of time in which you are out of your home country. Patriot Travel Insurance plans from IMG are available for trips from a minimum of 10 days up to 2 years (24 months) in duration. Is Medical Insurance included in the Coverage? Yes, a Patriot Travel insurance policy from IMG will provide a high level of healthcare coverage for you and your family while you are overseas. When applying for a Patriot Travel Insurance policy you will be given the option of choosing the levels of coverage which you require for the duration of your trip overseas. The overall maximum benefit for medical coverage can be as high as US$ 2,000,000 or as low as US$ 50,000. Hospital Room and Board Up to Maximum Benefit Limit based on average semi-private room rate. Additionally, if you are an American National obtaining IMG’s Patriot International Travel Plan you are also covered for a Daily Hospital Indemnity of up to US$ 100 per night for a maximum of 10 days. What is the Emergency Care Coverage like on an IMG Travel plan? Aside from comprehensive in-patient and out-patient coverage, the IMG Patriot travel insurance plans will provide a high level of coverage for emergency care while you our outside of your home nation. International Emergency Care under an IMG travel plan is available when the policyholder coordinates with the plan administrator. If you would like to learn more about this type of coverage please click Emergency Evacuation Insurance. Are there non-medical benefits included in the IMG Travel Insurance policy? If you would like to purchase an IMG Travel Insurance plan you can click Here. This will redirect you to the IMG website and you are able to purchase and confirm coverage instantly. Additionally, if you require additional information about the coverage involved in an IMG travel insurance policy please Contact Us to speak to a dedicated insurance broker.